NORTHEAST, Ala. — Basketball fans have been treated to Area Tournament action during the first half of this week. There have been surprises, shockers and upsets in almost every Area across Northeast Alabama. In Class 1A Area 15, the Valley Head Varsity Boys were defeated by Woodville, 62-40. The Valley Head Girls defeated Woodville, 50-25 and will play in the final game on Thursday. In Class 2A Area 15, the Fyffe Varsity Boys defeated Section, 73-53. Parker Goodwin led the Red Devils with 27 points; Gabe Gardner had 19; and Micah Johnson had a double-double with 12 points and ten rebounds. “We will have a tough game with North Sand Mountain on Friday at their gym,” he concluded. The Fyffe Varsity Girls defeated Section, 70-40. Alexa Barber led the Red Devils with 29 points; Anabelle Taylor added 15; Gracie Hicks finished the night with 7 points; and Madison Myers had 6. The North Sand Mountain Boys defeated the Ider Hornets, 110-42. The North Sand Mountain Girls defeated Ider Girls, 53-44. The Fyffe Lady Red Devils will face North Sand Mountain on Thursday, February 7 for the final game. In Class 3A Area 15, the Sylvania Varsity Boys defeated the Pisgah Eagles, 82-54. Grant Atchley led the Rams with 19 points; while Austin Traffanstedt, Jarred Higgins and Jaxen White all had 18 points each. For Pisgah, Austin Brown had 14 points, followed by Dakota Goolesby and Jared Wilks with ten points. The Sylvania Varsity Girls toppled the Plainview Lady Bears, 62-44. The Plainview Varsity Boys brutally defeated the Geraldine Bulldogs in Class 3A Area 15 play, 101-49. Koby Tinker had 20 points for the night; Caden Millican and Jackson Hosch added 14 each; and Cole Millican tacked on 13 points. The Plainview Boys will face Sylvania on Thursday, February 7 in the final area game. 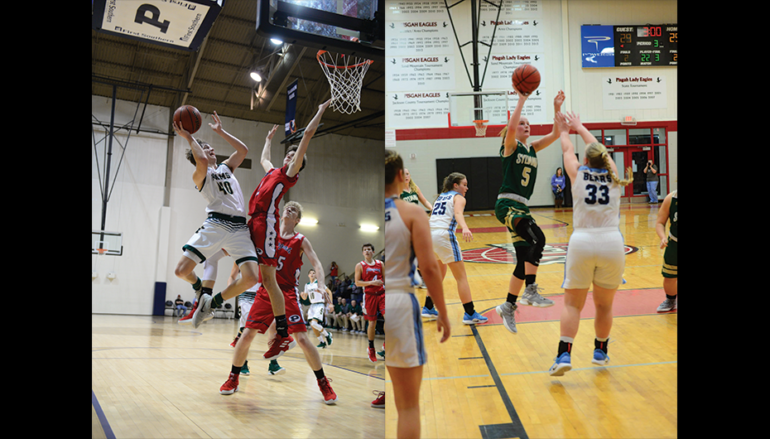 The Pisgah Lady Eagles defeated the Geraldine Lady Bulldogs, 94-44. Pisgah will face the Sylvania Varsity Girls for the finals. In Class 5A Area 13, the Boaz Lady Pirates defeated the Crossville Lions, 56-32. In Class 6A Area 13, the Albertville Varsity Boys defeated Fort Payne Wildcats, 89-67. 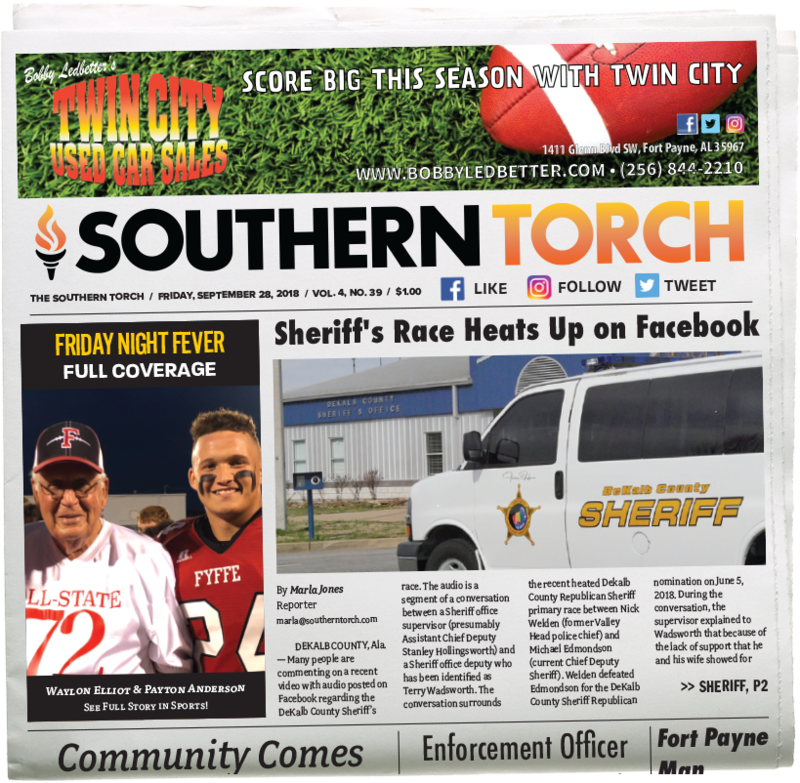 Stay tuned to Southern Torch as we update on the final games of the Area Tournament on our social media! 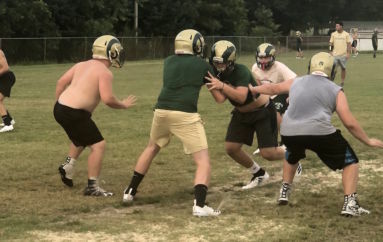 Inside The Huddle with the Sylvania Rams! 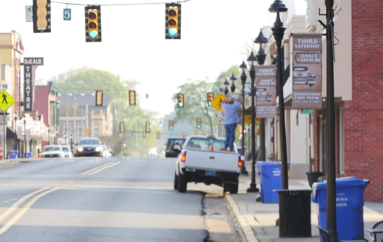 Fort Payne’s Third Saturday Cruise-In returns this Weekend!